More OLED panel makers are gearing up to compete with Samsung and LG for orders from Apple as soon as this year, according to industry sources (via DigiTimes). 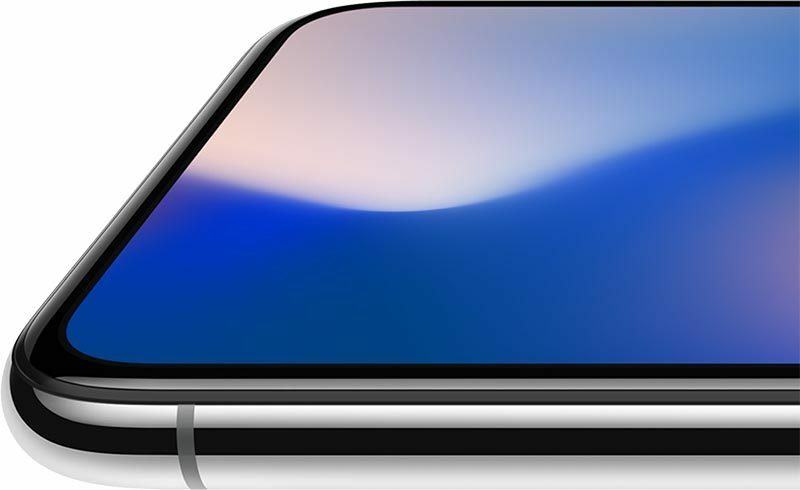 Thanks to its existing production capability, Samsung was the sole supplier of OLED display panels for Apple's iPhone X in 2017, which left LG Display under pressure from Apple and scrambling to invest billions in its OLED manufacturing facilities in time to compete for the next round of orders. That investment appears to be paying off already, with LG Display reportedly in line to supply some OLED panels to this year's new range of iPhones, which is expected to include two new 5.8-inch and 6.5-inch iPhone models with OLED displays. LG Display will supply Apple with the 6.5-inch OLED panels, while Samsung will supply the 5.8-inch panels, according to one report. Other suppliers now said to be jostling for third and fourth position in the OLED pecking order include Sharp, now a Foxconn Electronics company, and Japan Display (JDI). Both companies are preparing to churn out OLED screens as early as the second quarter of 2018, according to sources, citing Japan-based media reports. Sharp also aims to mount the flexible OLED screens on some of its own premium smartphone models set to launch in 2018, the sources added. In stark contrast with the state of play early last year, the accelerating trend of Asian suppliers investing in OLED production facilities will "definitely" lead to an excess supply of the panels in the coming years, according to DigiTimes' sources. China currently has a total of 13 fabs capable of rolling out small- to medium-sized OLED panels. The combined production capacity of these 13 fabs will reportedly reach 350,000 substrates a month if all of them come online, said sources. The adverse impact of any excess supply is expected to be offset by the increasing adoption of OLED panels in other "premier" models of consumer electronics products, although no examples were offered. Today's report follows news on Thursday that instead of competing for OLED display supply against Apple, some China-based smartphone makers are turning towards mini LED this year. Huawei, Oppo, and Xiaomi have reportedly asked Taiwan-based suppliers to begin producing mini LED backlighting in June in anticipation of products that would debut in the second half of 2018. I love the iphone x, but for 2018/2019 the 5.8 should be priced from 899, and the 6.5 inch priced from 999. Right now, the x is just too expensive to be a real hit with regular consumers. The 6.1 inch 326p lcd version, just can’ t fix that, only if it is priced at $600 for the 64gb version. The quality of the X screeens was already pretty inconsistent. The variance was pretty much insane between the viewing angles, uneven tints, tint shifts, etc. The lottery is gonna get even worse when there are 3 and more suppliers. Interesting to see how this will play out with who will be a future OLED supplier for Apple. Once Apples contract is up with Samsung, that would leave LG being the rumored sole supplier for the 6.5 OLED panel. Which leads Sharp or Japan display for the 5.8 OLED model perhaps. But it will really come down to, is who can mass-produce the amount of OLED panel Apple will need in terms of numbers for Production. If there are more suppliers prices of oled panels will go down. I wonder if we , the customers, will notice that in retail prices.